The American florist industry generates an estimated $7 billion in revenue annually, and it is probably no secret that the majority of this money comes from the booming wedding industry. 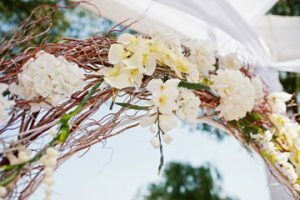 Most often, flowers are used for bouquets and wedding centerpieces, but did you know that there are so many interesting ways to utilize wedding flowers on your big day? Here are some interesting ideas to incorporate! 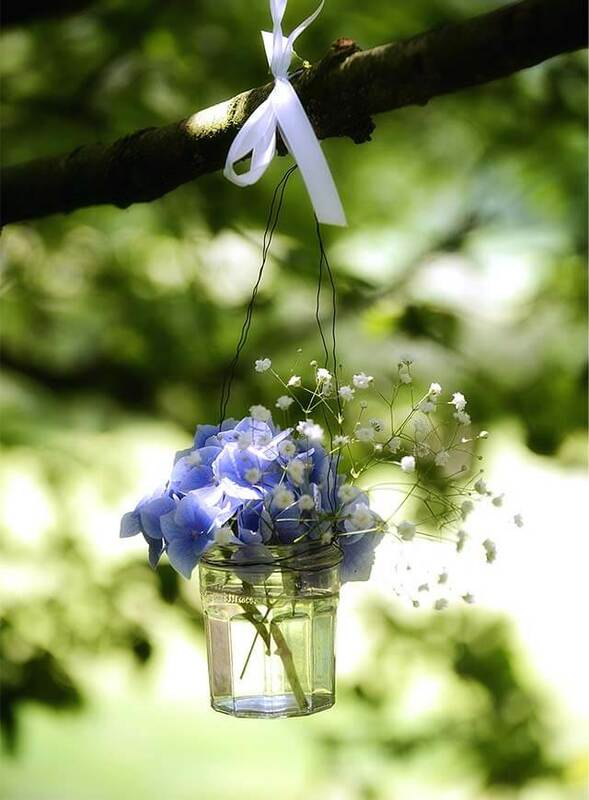 One of the most interesting ways to use flowers in your wedding is to decorate the ceiling with them. 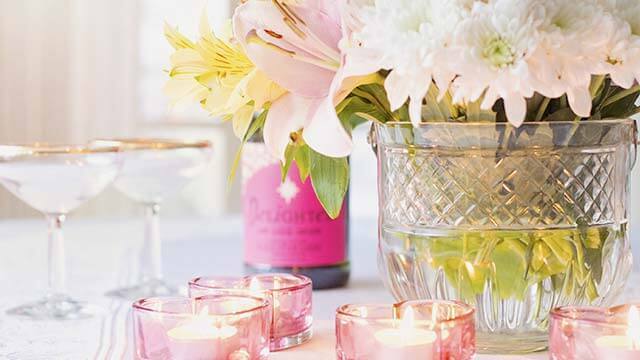 We’re thinking garlands, hanging bouquets, even flower light structures are all great options. Greenery, such as ivy or vines, is always a great idea for extra and is an easy way to make your whole wedding feel like a romantic wonderland. Having an outside wedding? Fountains can be a great photo opp and can be made even more beautiful with cascading flowers everywhere. These fountains are completely customizable and can be brought to the next level by adding candles, lily pads, and floating bunches of flowers such as hydrangeas. A flower wall will bring your wedding flowers to a whole new level. Plus you can use this wall for plenty of different purposes, such as behind the altar and for a photo booth at the reception. Go with a green ivy backdrop with color-coordinated flowers that match your theme. No need for wedding table flowers when you have hanging pomanders! Just pick one or two different colors that complement your theme, and hang them wherever you see fit — from the altar, the pews, and the ceiling in the reception. All you need to do is make sure they are different sizes so the room doesn’t feel too overwhelmed. Is there better way there to show off your newly combined last name than in beautiful flowers? This can be the focal point of the room and will look beautiful in any home when the wedding is over! Need a wedding florist for your big day? 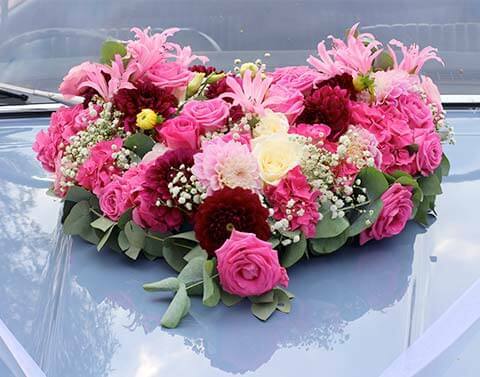 Our professionals are happy to help you make your floral dreams come true!